Deborah Morandin takes 20 years as a successful entrepreneur working with thousands of small business owners to entrepreneurs. Having won awards such as Australian Entrepreneur of the Year, and Australian Small Business, and 4 years as an Australian Ambassador for Australia Day, for her work in helping thousands to start successful businesses. "I am so excited to have the opportunity to facilitate your metamorphosis from small business operator to entrepreneur" Just as the caterpillar naturally undergoes the extraordinary process of gathering and growing, taking time to bring all of its strengths, tools and knowledge together to create the foundation of its chrysalis, I will show you how to bring all of your strengths, tools and knowledge together effortlessly to form the foundation for your future. The chrysalis enables the caterpillar to transform into the most magnificent version of itself - the Butterfly - able to spread its wings and fly, this program will enable you to transform into the most magnificent version of yourself - The Entrepreneur. As the caterpillar transforms from crawling on the ground to soaring through the air, dancing and loving life, emerging bigger and better than it every could have imagined, you too will emerge bigger and better than you ever could have imagined." 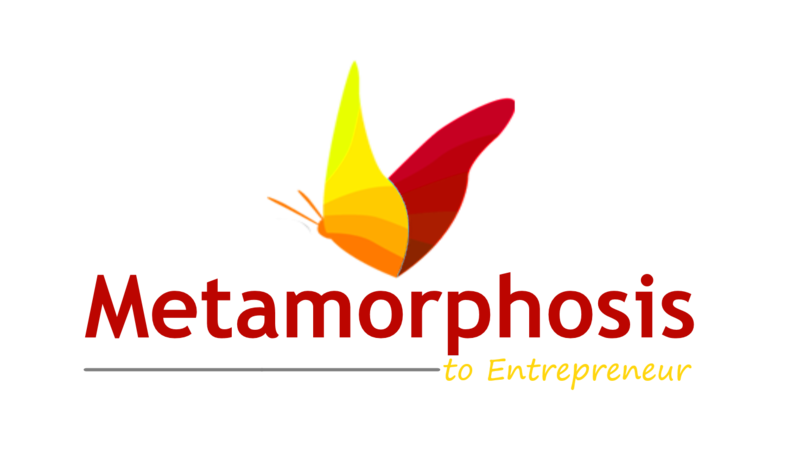 Register now for our 1 day Metamorphosis to Entrepreneur.